Southside Hospital offers advanced medical techniques, highly skilled physicians and personalized, compassionate care for you and the ones you love. And you don't have to travel far to get it. For more than a century, Southside Hospital has been providing quality care to the people in our community. We are dedicated to bringing exceptional care closer to home, which is why over the past few years, we have expanded several key services, including Centers of Excellence in and Cardiology, Orthopedics, Neuroscience and Women's Health. We’re proud to be the first hospital on Long Island to be recognized for achievement in heart attack care by the American Heart Association with the Mission: Lifeline Gold Award, and ranked one of the 50 Best Hospitals in the U.S. for heart surgery by Healthgrades. Our hospital offers a full range of medical and mental health care services that are tailored to the needs of families and individuals throughout the local area. We're here to serve a diverse population with innovative and effective programs that promote health in fundamental ways—from programs that fight childhood obesity and substance abuse, to community health fairs, screenings and injury prevention for seniors. 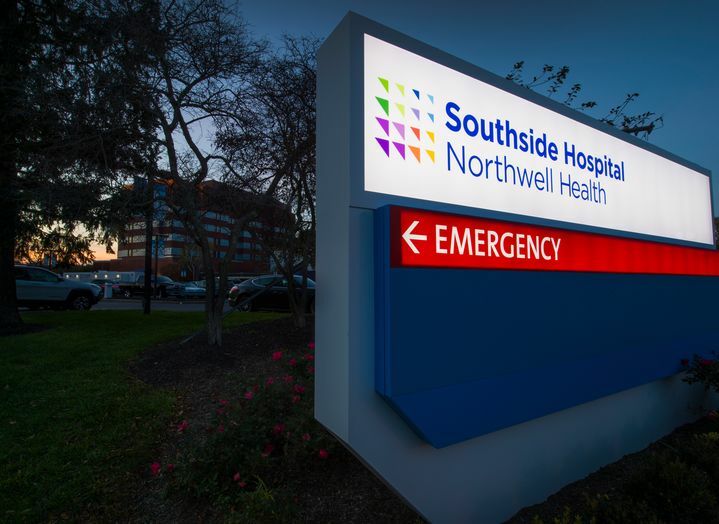 Learn more about some of Southside Hospital's main departments and services. Check out health and wellness news, plus inspiring stories from Southside Hospital. Long Island Business News reports on Southside's new unit. Southside Hospital opens nine-room joint replacement unit where patients can recover and receive care after surgery. Northwell Health will be organizing and participating in breast cancer awareness efforts this October, led by the first “Pink by the Bay” program to promote awareness and benefiting local breast cancer coalitions. Puneet Gandotra, MD, is featured in this Newsday piece.